Has anyone seen my forehead? 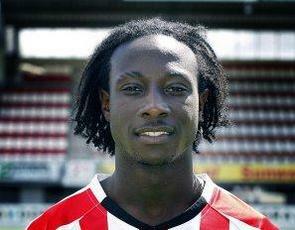 Ladies and gentlemen, please welcome to the Premier League the Horror Hair talents of Marvin Emnes. Middlesbrough’s new signing’s receding afro hairline is begging for a keep-it-simple grade one all over. But no, this 20-year-old isn’t going to bald himself before his time. He’s gone for the backcomb, displaying his copious forehead in all its splendour. Fair play to you, lad.